Here are a few brief descriptions of basic GST terms you will come across. This will help you to understand GST better. 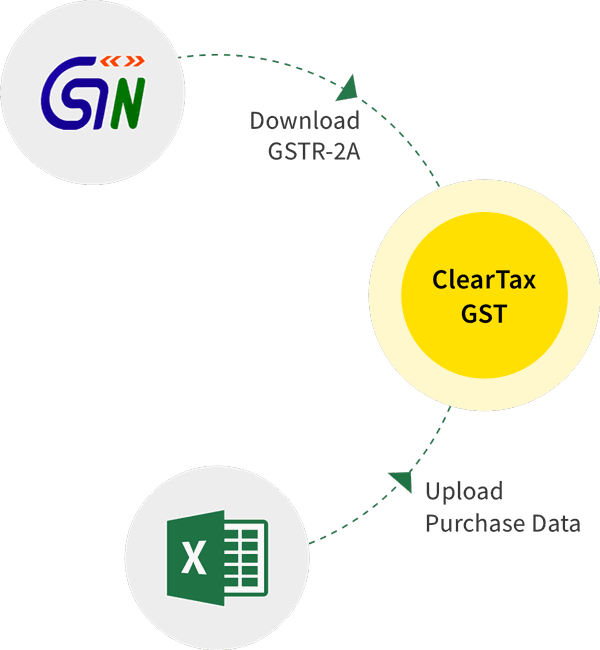 IGST (Integrated GST) which is charged on both inter-state sales as well as imports. Input tax credit means the reversal of GST which was paid on purchases of goods and services. It is available as a deduction against output tax to be paid on sales. This is done to reduce the cascading effect, i.e., tax on tax effect. However, input tax credit is not available to taxpayers who opt for composition levy. Taxable Person is a person who carries on any business at any place in India and who is registered or required to be registered under GST Act. The person who engages in economic activity including trade, commerce is treated as taxable person. Person includes an individual, HUF, company, firm, LLP, an AOP/BOI, any corporation or Government company, body corporate incorporated under laws of foreign country, co-operative society, local authority, government, trust, artificial juridical person. Who is liable to be registered? Any business whose turnover in a financial year exceeds Rs 20lakhs (Rs 10 lakhs for North eastern and hill states). If your turnover is supply of only those goods/services which are exempt under GST, this clause does not apply. Every person who is registered under an earlier law (i.e., Excise, VAT, Service Tax etc.) will take registration under GST too. When a business which is registered has been transferred to someone/demerged, the transferee shall take registration with effect from date of transfer. A person who occasionally supplies goods and/or services in a territory where GST is applicable but he does not have a fixed place of business. As per GST such a person will be treated as a casual taxable person. Example: A person who has place of business in Bangalore supplies taxable consulting services in Pune where he has no place of business would be treated as casual taxable person in Pune. When a non-resident person occasionally supplies goods/services in a territory where GST applies, but he does not have a fixed place of business in India. As per GST he will be treated as a non-resident taxable person. It is similar to above except the non-resident has no place of business in India. Reverse charge’ means the liability to pay tax is by the recipient of goods/services instead of the supplier. Categories of supplies applicable for reverse charge will be notified by the Centre or State Government. At present, similar provisions of Reverse Charge are available in Service Tax for the services like Manpower supply, Mutual fund agent, Works contract, Goods Transport Agencies etc. In GST regime, reverse charge may be applicable for both services as well as goods. Every person liable to pay service tax under reverse charge is required to furnish details of inward supplies. Persons who are required to pay tax under reverse charge are required to be registered, irrespective of the threshold limit. There are separate provisions relating to time of supply of goods and services where tax is payable on reverse charge basis. GST is a completely new tax regime already taking India by storm. These are only a few of the most common phrases you will come across in GST. Please read a few more terms in the second part of this article. Hopefully they will help you to understand GST better. Feel free to read more of our articles in our blog.